In our last review I proposed the question "has Garmin® come full circle?". With the release of the new T 5 Mini and the TT™15 Mini I must consider now how big of a "circle" is Garmin willing to draw? When I first got my hands on the new T5 Mini and the TT15 Mini I was curious as to, how "stripped down" did Garmin have to make this new unit to get it into such a small housing? image of minis with tt15 for size comparison. Following a quick software update on my Garmin® Alpha® 100 handheld, I was easily able to add both the T 5 Mini and the TT 15 Mini to my handheld. I was more than pleasantly surprised to see that the T5 Mini and the TT15 Mini not only has all the features of the full sized T5 and the TT15, but has a new feature I can now cross off my "wish I had" list. 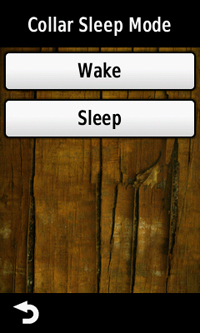 This new feature is referred to as the "Sleep Mode". With this new feature, currently available only on the T5 Mini and the TT15 Mini, the user now has the ability to conserve battery life by activating the "Sleep Mode". 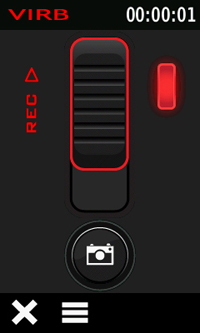 Essentially the "Sleep mode" feature is a remote off/on switch that can be activated only with the Garmin Alpha 100 handheld. Following a night of charging I was anxious to test the essentials of the new T 5 Mini and the TT15 Mini. As with most houndsmen the first areas of concern are with effective tracking range, battery life, and dependability. Perhaps the best part about the Garmin Mini GPS collars is their small housing. 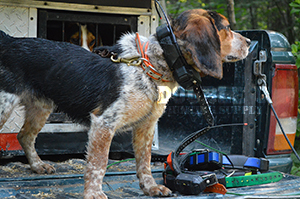 Garmin delivered a much needed smaller collar for hunters with small dogs. The TT 15 and T 5 Mini collar are built with a low profile collar very similar to the Pro Trashbreaker E-collars. The new Mini GPS collars weighed in at 7.5 oz compared to 10.2 oz full size TT15, T5 collars. 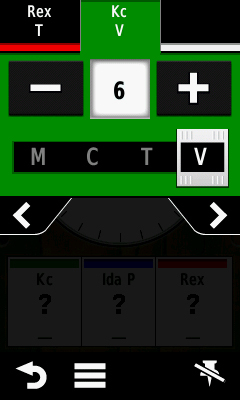 In addition, Garmin rounded the corners on the mini to help in the event that a short dog’s knees might hit the collar. With the smaller housing there is far less liklihood that the smaller dog will be banging their knees on the collar. 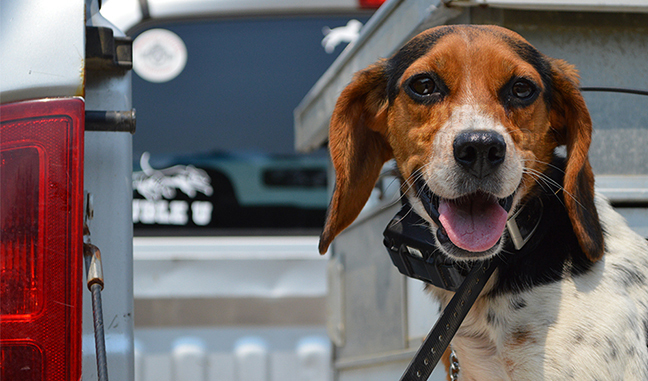 We found that the collar was a perfect fit for both the 12 inch and 15 inch beagle. During our testing we were ecstatic to see our worst knee banging females knees completely heal up after she started wearing the TT15 Mini collar. So far we’ve fit tested the collars on Feists, Beagles, and Terriers and every dog was an excellent fit on these smaller dogs. If there was any issue we encountered it was that the collars wanted to rotate around on the dog’s neck. We expect Garmin to have a good solution however we at Double U Hunting Supply found an easy solution by either tucking in the antennas into the buckle, or adding an extra antenna keeper to other side of the GPS housing. Garmin is marketing the MIni collars with a 4 mile effective tracking distance compared to 9 miles for the full size TT15 and T5 collar. 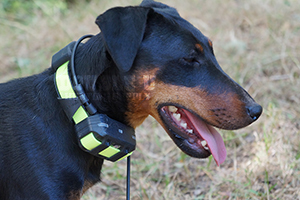 Initially we expected the new Mini GPS collars to have less tracking distance. However, while testing these collars extensively in the field we can honestly say that we have seen little difference between the new Mini GPS collars and the standard sized TT15 GPS tracking collar when it comes to tracking distance or dependability. At Double U Hunting Supply we have a test track that we run all new GPS collars through for comparison. With the Mini Collars we are seeing a 2.8 miles in hilly, brushy country using a long range antenna on the handheld. We have seen this distance consistently with the full size TT15 collars. We are extremely confident these Mini collars are performing as well as the full size collars regarding the effective distance. Why does Garmin claim 4 miles? We don't exactly know, perhaps Garmin is changing the way they market the effective distance to a more "expected" distance rather than marketing a "best case" distance. Any hunter who has spent time behind these GPS collars understands 9 miles is not a distance that is easily achieved in the real world. However 4 miles with any of the Garmin tracking systems is more achievable. My professional opinion is that Garmin is hoping their customers will expect a much more "real world" tracking range. 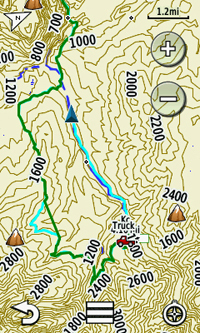 At this point in time I'm more comfortable stating that Garmin continues to lead the way in GPS tracking systems. From what we have seen there doesn't appear that there are any other competitors in the race in terms of GPS tracking. 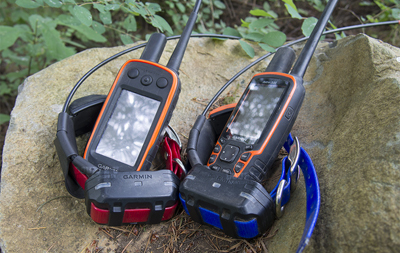 With the release of the new T5 Mini and the TT15 Mini Garmin has taken yet another leap ahead. "Like most Garmin tracking products the Garmin Mini GPS collar are big on performance as well as features. Designed with the smaller hunting dog in mind the collar is far more compact particularly in the profile of the collar.Despite their smaller housing they not only have all the features of their full sized brothers, the TT15 and T5, but are also engineered with a very useful feature called "Sleep Mode". I have to admit I was skeptical of the performance of what as well as what most dogs consider the most important aspects of the collars performance and that is range, batterly life, and dependability. I was nearly knocked off my tailgate to see the new TT15 mini and T5 perform every bit as well in range and dependability. The only area that seemed to have been sacrificed in was in overall battery life.WIth that said, the new "Sleep Mode" feature can be used to help extend battery life by cutting of the transmission of the collar to the handheld device untl it is reactivated remotely by an Alpha 100. Knowing what I know about this collar, I would not hesitate to put these collars on my full size dogs and go for big game. 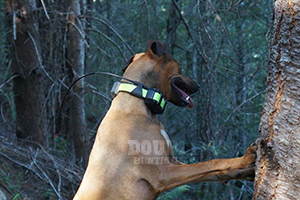 Not only do I think these collars will become very popular with the squirrel and rabbit hunters, but with the big game hunters, who like me enjoy taking my pups along while in the field with my trained dogs. I have on several occasions had pups that were too small for a regular sized TT15 disppear while hiking into trained dogs. Having the TT15 on my pup will help me keep track and of my pups in the field. Given the amazing performance of these new collars I'm confident that when my pup becomes mature enough to begin accompanying the trained dogs it will will be tracked accurately and dependably. "You can bet I will be adding one to my collar bag not only for that added "peace of mind" when I have a pup around, but as a backup collar for my trained hounds as well." Distance was comparable to the Full size collars. Sleep Mode conserves battery life. 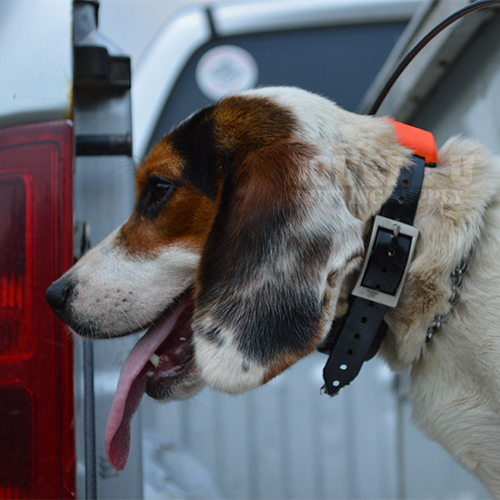 Beagle Hunter PRO STAFF REVIEW on the Mini collars. After receiving my test T5 Mini and TT 15 Mini collars I was overjoyed with their compact size, especially the profile. First thing I did was throw a TT15 Mini on a scale and compare the weight to a current TT™10. To my surprise the TT 15 Mini collars are a little over 2 ounces lighter. Weight was never really a concern with the TT10s, most of my concerns was the profile. After getting the T5 Mini and the TT15 Mini I gave them a good overnight charge. All I had to do was simple update on my Alpha 100 that allowed me to add the T5 Mini and the TT15 Mini. The next day I ran them alongside my TT10 collars for comparison. Everything I saw was very comparable. The one difference that stood out from the TT10 is the TT15 Mini has a vibrate option on the training system. At first I was concerned with how my dogs would react to the vibration. All of my hounds are trained to recall to the tone but my worries were short lived, they recalled just as fast, if not faster, to the vibration. I can see where this will be a huge benefit in the future if the need arises where I need to only recall one hound. In the past when I was trying to recall one hound the others would hear the tone on the hounds’ collar I was wishing to recall and would also pull off the track and come to me. Another option that the T5 Mini and TT15 Mini have over the TT10’s is the capability to control the Garmin Virb Camera, as someone that films almost every hunt this opens options for me. I presently do not have a Garmin Virb at this time but will have one in the near future, that said, I was unable to test this option without the camera. Bark detection? I would have never thought I would have a use for this option however During one of my hunts the pack ran out of hearing on a large running snowshoe hare, the dog wearing the TT15 Mini split from the pack, I looked at the bark meter and it showed she was indeed running a track instead of quitting. I’m not sure if I will always keep this option turned on but am relieved to know I can turn it on the next time that situation arises. As mentioned before Garmin does listen to their customers and that is why the T5 Mini is also available for the people that wish to compete in different competition formats. Most competitions do not allow training collars but do allow tracking collars. I have attended a couple competitions and was uneasy releasing dogs without their Garmin TT10 collars on them. The new Garmin T5 Mini it will be nice to take those worries away. Battery life is always a concern with any Dog hunter, I’m finding with the 2.5 second update rate a battery life of about 12-14 hours; 5 second update rate I’m seeing about 18-20 hours, 10 second update rate 22-24 hours. If the guys that condition their dogs in pens overnight are concerned there is always the 30 second update. Often times I run 3-4 hours sometimes 8-10 while running with friends on all day trips. My biggest concern regarding battery would be if I had a dog get on "off game" and somehow get away from me. Up here in Northern Minnesota there seems to be fewer roads than down in the southern states or in more populated areas. With more roads I would be less concerned about battery life. Comparing the tracking distance against the TT10’s shows me that basically these mini collars are every bit as good as the full size TT10 collars. I was surprised to see just as much range out of the T 5 Mini collar and the TT 15 Mini collar as I get with my TT10 collars. I did a line of sight test across a small lake here at my house where I was able to get 2.97 miles of open space between me and the collars. I observed that I was able to keep full GPS and full communication until they went into the dense brush on the other side of the lake. I finally lost GPS with collars at 5.90 miles. In the actual hunting conditions in the field I never lost the T5 Mini or the TT15 Mini collars any more or less than I did with the TT10 collars and always picked them back up quickly after a lost signal alert. Overall I am very happy with both the T5 Mini and the TT15 Mini collars and will be updating my whole pack of beagles to the TT15 Mini collars within the next few months. 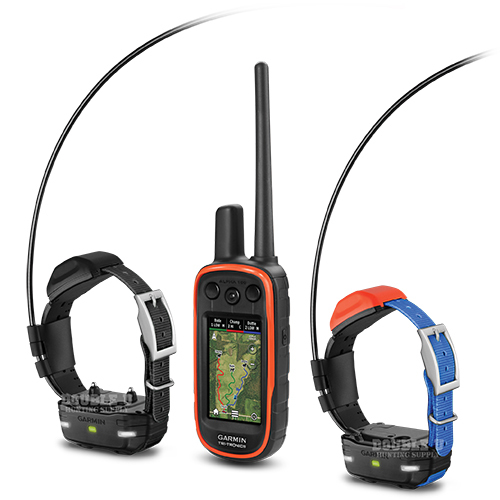 I am completely confident that the Garmin T5 Mini or the TT15 Mini collar will insure the safe return of my hounds as well as improve the physical condition of my hounds when they do return. Remember that if you have questions or concern about Garmin products keep contacting Double U or Garmin Enterprises because they are concerned and listening to houndsmen concerning the safe retrieval of our hunting partners and pets.